FL Orchestra music director Michael Francis talks to USF graduate student Zachary Konick after a performance of his piece, "In Principio." You see, Francesco Sclafani is a junior in the University of South Florida's music composition program, and his original piece, Deconstruction of Anger, won a recent competition. 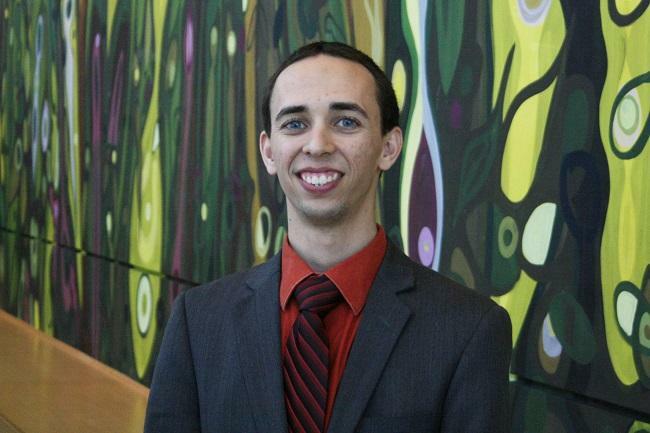 Sclafani was one of fourteen entrants in the Florida Orchestra/USF School of Music Student Composer Competition. They each submitted previous works, along with a short clip of a new, original piece. Judges chose Sclafani and four classmates as finalists. Then, the aspiring composers had their six to seven minute long original works placed in front of the professional musicians of the Florida Orchestra for their debut live performances. "Those people are so talented and very passionate about the music, so it was very fun," said sophomore Logan Barrett shortly after the orchestra performed his work, Proportions. "Hearing it live is something I’ve never experienced before, having the brass and having it be in the back, things like that, the way they inject emotion into music is really interesting to see." According to USF Assistant Professor of Music Baljinder Sekhon, there were two purposes to the contest. First, it extends the relationship between the Florida Orchestra, the university and the Tampa Bay community. 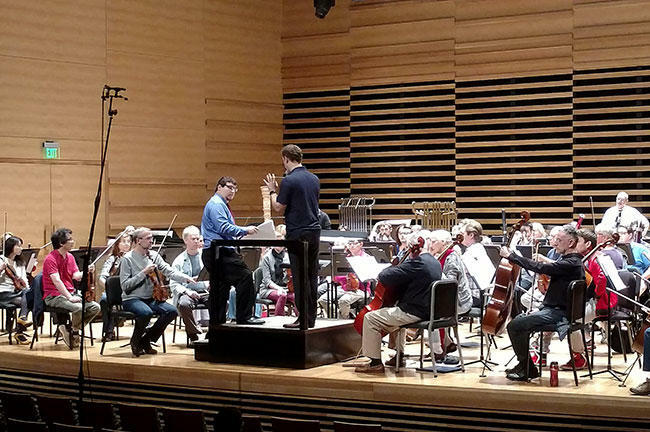 "It also provides career training and it provides the students an opportunity to work in a professional environment on their compositions for orchestra, something that’s really unique and something that isn’t necessarily available to composition students and young composers anywhere, in curricula or otherwise," Sekhon said. Sekhon adds that while it’s one thing for a composer to write a piece for a solo musician or a small ensemble, it’s another when they’re putting an orchestral composition together. Francis speaks to sophomore Logan Barrett after the orchestra performed "Proportions." 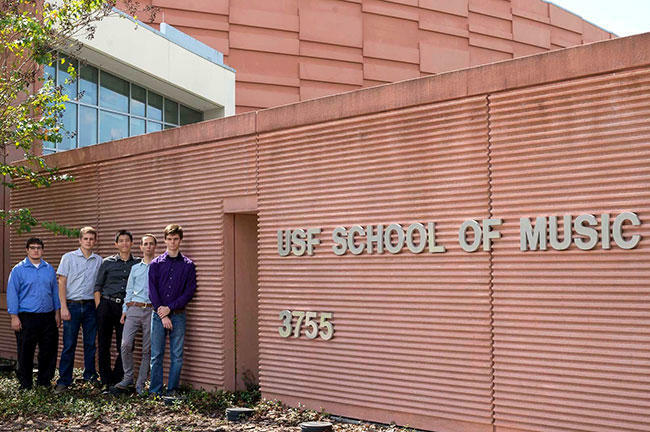 “Say they’re writing a violin solo piece or violin-piano, they have performers here at USF who they’re working with closely in trying that out," Sekhon said. All five finalists were male, but Sekhon said there were three female entrants in the original field of 14. "Is the field male-dominated?" he said. "Historically, yes, yes it is and we have a lot of effort here to identify and recruit female composers and also to demonstrate that this is something that is not male-only. " There at least was variety when it came to the ages and experience levels of the finalists, from an 18-year-old freshman to 26-year-old first year masters student Hoang Pho. "Writing for orchestra is one of the hardest kind of composing because, as a composer, I will have to write music intellectually, with a large number of instruments," said Pho, whose piece was named White Night. "Also, I have to laboriously prepare the performers’ material and, moreover, rehearsing orchestra music has a lot of intricacies that often constrain the ability to be heard. That’s why the opportunity like this is very rare and very helpful." Music Director Michael Francis leads the Florida Orchestra through one of the student pieces in the USF School of Music Concert Hall. One of the amazing things – but perhaps not that surprising based on their skill - was how well orchestra members performed the works on a first reading. They quickly picked up some of the subtleties in the pieces, like the steampunk influences scattered throughout freshman Bradley Mikesell’s composition, Analog. "They’re one of the best orchestras in the Southeast United States and they pulled it off better than I could have imagined," Mikesell said, laughing. In addition to world-class musicians playing their work, the students interacted with Florida Orchestra conductor and Music Director, Michael Francis. After each performance, Francis would bring the composer to the podium and give them suggestions for improvement. That really stuck with first-year graduate student Zachary Konick, who composed In Principio. 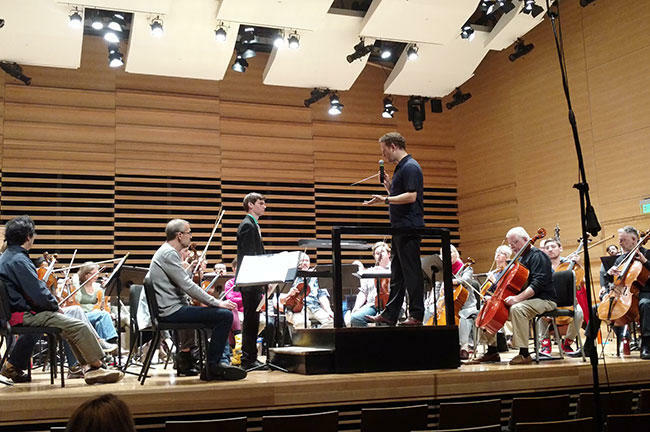 "Maestro Francis gave me a lot of incredible large-scale feedback as far as the form of the piece overall and also small-scale things like, ‘Oh, you can lighten up the percussion near the end to help bring out the climax in the strings,’" Konick said. "Things like that have been really valuable, I’m going to take it to the next project I work on." Francis said he and the other judges were very impressed by what they heard. "I think there were five very distinct, clear musical voices, and what I was encouraged by is there was a lot of skill, there’s a lot of thought, a lot of creativity and a lot of expression, so I was pleasantly surprised in a very positive way by how strong the pieces were," Francis said. "With a little bit of tweaking here and there and also the experience of hearing the music being performed live, I’m sure these pieces will be refined into something even better." Francesco Sclafani, a 23 year old junior, won the competition with his piece, "Deconstruction of Anger." But in the end, only one could win: Sclafani's work, Deconstruction of Anger, which Francis called "vibrant, exciting and compelling." "I’m grateful that he finds something of merit in my work, at least in this case and that he said that he wants to work on it and I’m, that’s more than any person could ask for," Sclafani, 23, said. "Not that I needed the confirmation since I always enjoyed it but this proved that I have what it takes to be a composer that people would either enjoy listening to, would find interesting to listen to or be able to react to in some way." In addition to a $750 prize, the work will be performed at the final concerts of the Orchestra’s Masterworks series in May. "It’s not the same as Beethoven or Tchaikovsky, those pieces will live forever, but it’s still very exciting to have my music going along with the other two pieces because it’s still a great privilege to be able to have it received by everyone," Sclafani said. And when asked how he's going to feel in May when the Orchestra plays his piece publicly, Sclafani said: "I am probably going to be excited and apprehensive because at every performance, no matter what it is, there’s always that preparation for the first note and since mine doesn’t start off with a bang, it ends with one, I’m going to be interested to see how the audience will react to the way it starts." The five finalists in the Florida Orchestra/USF Student Composer Competition: (l-r) Zachary Konick, Bradley Mikesell, Hoang Pho, Francesco Sclafani and Logan Barrett. WUSF News invites you to contribute to our Art Populi series. Grab your phone and send us your thoughts and pictures of your favorite student performances or composers. Tweet us @WUSF, or find us on Facebook and Instagram @WUSFPublicMedia. Make sure you use the hashtag -- #WUSFMusic. 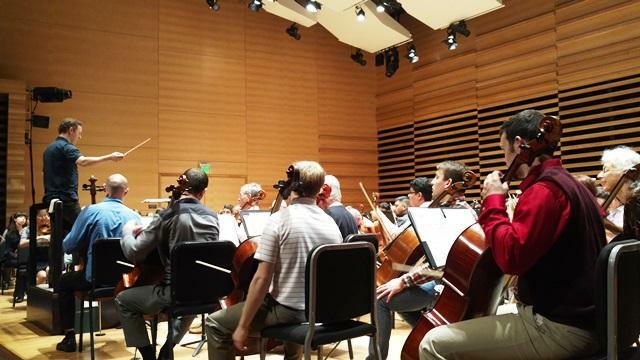 Click here to hear how the Florida Orchestra is performing outside of the concert hall. Classical music to some people conjurs up images of large music ensembles in ornate concerts halls. 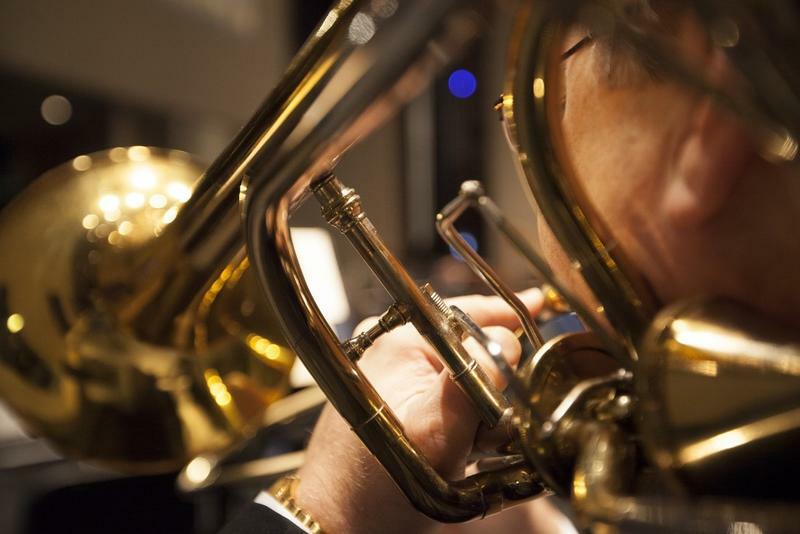 The Florida Orchestra is trying to change that perception by performing in the community. University Beat takes you to the USF School of Music, where the next generation of classical musicians had the chance to work with members of The Florida Orchestra, including its Music Director, Michael Francis. To borrow from the old adage about getting to Carnegie Hall, it takes a lot of practice to be a great classical musician. 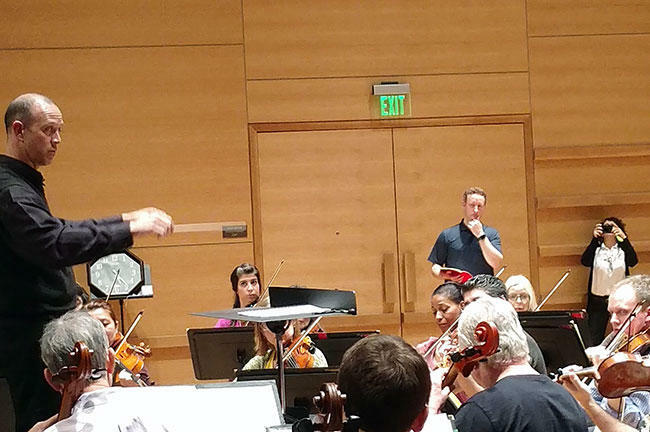 But to become a great conductor, there’s not too much a would-be maestro can do, according to University of South Florida masters student Brent Douglas. The Florida Orchestra is stopping by for three days of performances and discussions at the University of South Florida. Saturday's gala concert in St. Petersburg featuring Michael Feinstein wraps up a busy week for The Florida Orchestra, which is spending a few days on the Tampa campus of the University of South Florida. 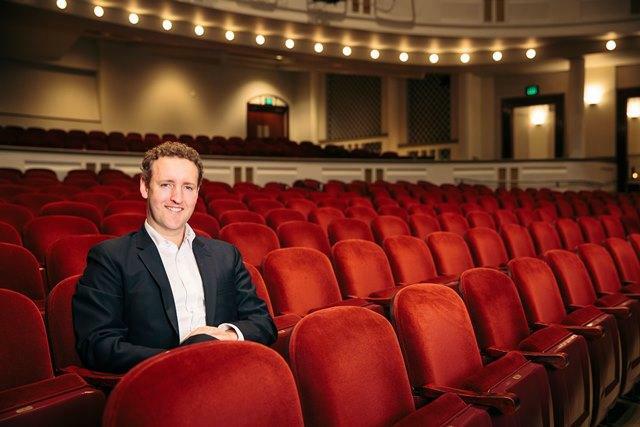 Hear a preview of our conversation with the Florida Orchestra's new music director. 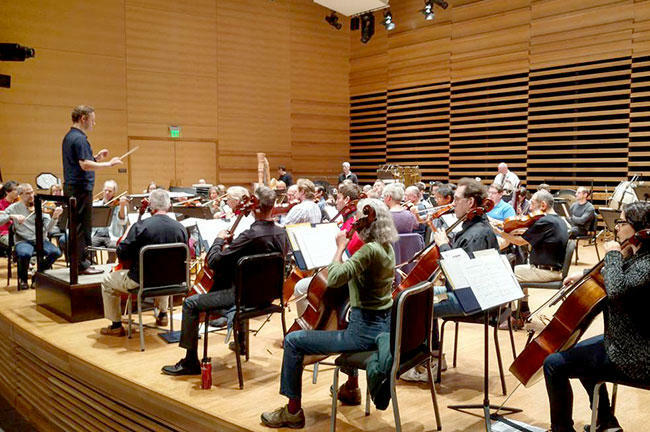 The Florida Orchestra has begun its 48th season, and the orchestra has a new music director. 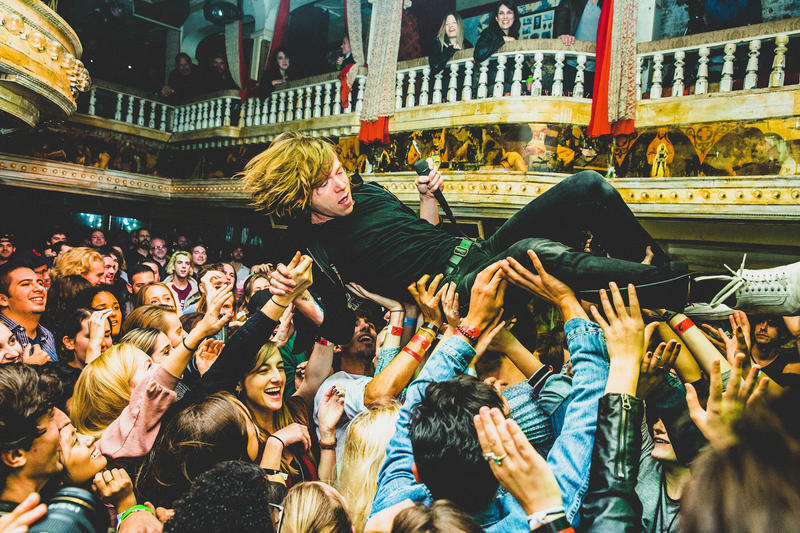 The country's top three music festivals grossed about $130 million dollars last year. But several other well-known multi-day music events managed to lose money and some were outright canceled. But the same can't be said for two relative newcomers to the festival scene, and both are in Tampa Bay.